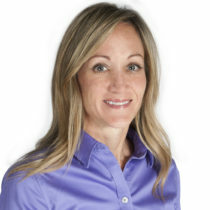 Stacy Abel, SPHR, SHRM-SCP is the Vice President of People and Culture. 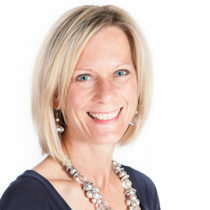 Stacy joined the Craig leadership team in 2009 and has over 20 years of experience in Healthcare Human Resources. 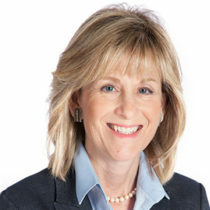 She has extensive hands-on experience leading HR initiatives including policy design, compensation, performance management, recruiting, compliance reporting, HRIS implementations, HR workflow development, training and development, and benefits administration all of which enable Craig Hospital to recruit and retain a high performing and motivated workforce. Stacy holds a BS in Business Administration/Human Resources with a Master’s in Organizational Leadership from Columbia Southern University in Alabama. She is certified through the Human Resource Certification Institute as a Senior Human Resource Professional (SPHR), through SHRM as a Senior Certified Professional (SHRM-SCP) and holds a certification as a Six Sigma Green Belt. 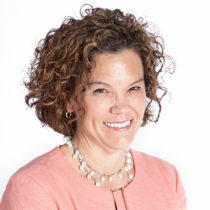 She is active with the Colorado Human Resource Association, the Colorado Healthcare Association for Human Resource Management, and the Society for Human Resource Management. 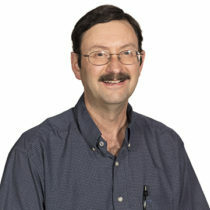 Dan Frank serves as the Chief Financial Officer. 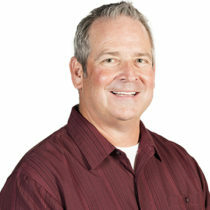 Dan earned his undergraduate degree in Business with a specialization in Accounting from the University of Colorado in Boulder. He also has a Master of Healthcare Administration degree from the University of Colorado in Denver. 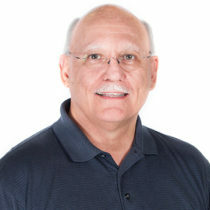 Dan has 30 years of financial experience in the health care industry. 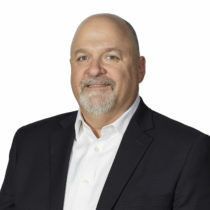 Prior to joining Craig Hospital in 2019, Dan was the CFO at Longmont United Hospital, and also served previously as the Director of Accounting and Reimbursement for Exempla Healthcare. Dan is responsible for Admissions, the Business Office, Health Information Management, Information Technology, and Materials Management. He is active in his community and has served on a variety of non-profit and community Boards. 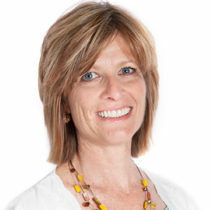 Dana Polonsky, PT, is the Vice President of Clinical Services. She received her B.S. in Physical Therapy from the University of Kentucky, 1981. Dana joined Craig in 1984 as a physical therapist, was the Director of PT between 1997- 2005, and in 2005 was promoted to VP of Clinical Services. She is responsible for clinical and management of the departments of physical therapy, occupational therapy, speech/language pathology, psychology, therapeutic recreation, clinical care management, guest services, risk management, security, safety, engineering and volunteer services. Diane Reinhard, DNP, MBA, MSCIS, RN, CRRN, NE-BC, is Vice President of Patient Care Services and Chief Nursing Officer. 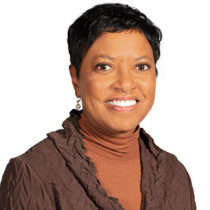 She received her BSN from the University of Denver in 1985, MBA from the University of Phoenix in 2001, and M.S. in Computer Information Systems from University of Phoenix in 2001. Diane received her Doctorate in Nursing - Executive Leadership from the American Sentinel University in 2013. Diane holds professional certification in Healthcare Finance and is Board certified in Rehabilitation Nursing and Executive Nursing. Diane has been in the field since 1982, and has been at Craig Hospital since 1990. She manages utilization of human, fiscal, and material resources allocated to nursing, food services, pharmacy, nursing education, patient/family education, infection control, Nurse Advice Line and quality departments. She continues to be active in local and national professional Boards of Directors. Jennifer Biggs Arnold, BA, RN, MSN, CNRN, is the Associate Chief Nursing Officer of the Craig Hospital Nursing Department. Jennifer received her BSN and MSN at Regis University in 2005 and 2011 respectively. She has been a part of the Craig Hospital family since 2003 when she started as a rehab tech. 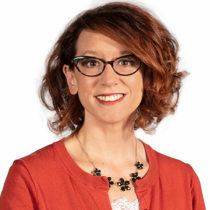 Since joining nursing leadership in 2007, Jennifer has been involved in numerous projects including the development of the nursing computer documentation system, chairing the TBI Leadership Committee, and working with a strong interdisciplinary team to make the 2012 Brain Injury Summit a success. Jennifer is a member of AANN and is certified in neuroscience. She has had the opportunity to attend multiple educational conferences and has been invited as a guest speaker to speak on the subjects of interdisciplinary collaboration in the brain injury rehabilitation environment. 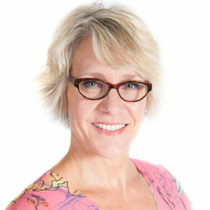 She currently serves on the Brain Injury Alliance of Colorado Board of Directors. 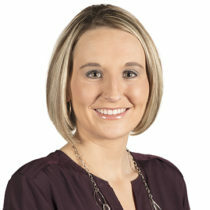 Heather Both, MA, CCC-SLP, is the Director of Outpatient Services. Heather has been with Craig Hospital since 2010. She received a B.S. in Human Development and Family Studies from Colorado State University in 2006 and an M.A. in Speech Language Pathology from the University of Colorado in Boulder in 2009. Heather was the primary Speech-Language Pathologist at a high school in Highlands Ranch, Colorado from 2009-2010 before taking the opportunity to join the Craig Hospital team. Heather has worked in Inpatient and Outpatient Speech-Language Pathology as well as Outpatient Management at Craig. She served as the 2018 Brain Injury Summit Conference Sponsorship Chair and has led numerous projects and initiatives at Craig including outpatient funding processes and reports, scheduling processes, and growth and quality initiatives. 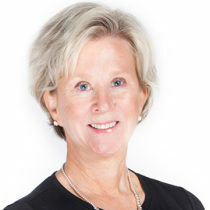 Mary Feller is Executive Director of the Craig Hospital Foundation. The Foundation seeks funding and manages the investment of donations in support of the hospital's mission. Mary has a BS from Elmhurst College and an MA from Saint Louis University. Mary has 28 years of fundraising experience including serving as Director of Institutional Advancement for Graland for six years and Assistant Vice President of Development for Metro State College for 15 years. Prior to moving to Denver in 1989, Mary worked as Director of Development for Maryville College and Fontbonne College in St. Louis. She is a member of the Association of Fundraising Professionals. Amy M. Goldstein, RPh, BS.Pharm., MS, is the Directory of Pharmacy Services. 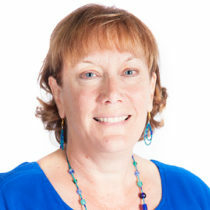 Amy received her BS in Pharmacy from the University of Wisconsin in Madison in 1988 and M.S. in Hospital Pharmacy Administration in 1992. 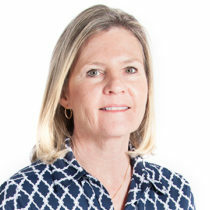 Amy completed two ASHP Residencies, Pharmacy Practice in 1991 and Advanced Hospital Pharmacy Administration in 1992. In 2011, Amy received an Executive Leadership in Health Care Informatics Certificate from the University of Colorado – Denver. She has been a pharmacist since 1989 and has been the Pharmacy Director since 2002. 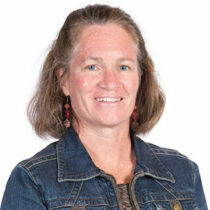 She also is an Adjunct Faculty member in the Department of Pharmacy Practice at Regis University and the University of Colorado Skaggs School of Pharmacy. In 2014 she was named Outstanding Preceptor of the year by the Skaggs School of Pharmacy. She is responsible for the overall planning, organizing, monitoring and evaluating of the medication use process at Craig Hospital. 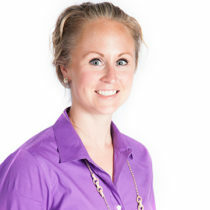 Amy is a member of the American Society of Health System Pharmacists and Colorado Pharmacist Association. Mary Hewitt, RHIA, is the Director of Health Information Management and Craig's Privacy Officer. Mary received a B.S. from Illinois State University in 1978. She has worked in the field since that time and has been a director at Craig since 2000. Mary is responsible for the planning, organizing and directing the function, services and operations provided by the Health Information Management Department in the maintenance and use of the medical record. She is also responsible for protecting patient's privacy rights and their individually identifiable health information as required by the HIPAA Standards for Privacy. 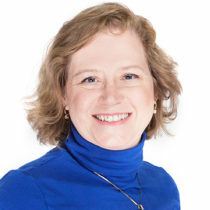 Mary is a member of several professional organizations including the American Health Information Management Association (AHIMA); Colorado Health Information Management Association (CHIMA); National Association Medical Staff Services; and Colorado Association Medical Staff Services. Jacque Howard, MBA, is the Controller. 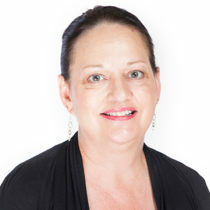 Jacque joined the management team at Craig in July 2007. Her entire career in accounting and finance career has been in the healthcare industry. Jacque graduated from the University of Wyoming with a B.S. degree in Accounting and obtained her M.B.A. degree from the University of Colorado at Denver with an emphasis in Finance. She held previous positions as Controller at Presbyterian/St. Luke's Medical Center in Denver and Hacienda Health Care in Phoenix, AZ. Jacque also worked as a Director of Budgeting and Cost Accounting at HealthOne and Director of Reimbursement at Exempla Healthcare. At Craig she is responsible for managing the accounting, budgeting, accounts payable, payroll and patient accounting functions. 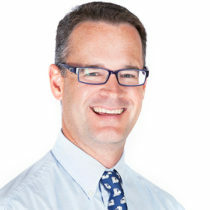 Kyle L. Mickalowski, MPH, is the Director of Quality Management. Kyle received his B.A. 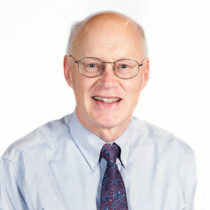 from the Augustana University, Sioux Falls, South Dakota, 2008 and a Master’s of Public Health in epidemiology, The George Washington University, Washington, DC, 2010. He has been a part of the Craig Hospital family since 2013 joined the leadership team in 2016. Kyle coordinates and manages hospital-wide performance improvement and patient safety programs; maintains readiness for surveys from regulatory agencies; coordinates Medical Staff Executive Committee and hospital functions; implements Medical Staff credentialing and peer review. Ellen Severe, OTR, is the Director of Occupational Therapy. Ellen received a B.S. in Occupational Therapy from Colorado State University in 1986. She began working at Craig Hospital in 1990 on the Brain Injury team. She transferred to the Spinal Cord Injury team in 1992 and became a member of the Technology group. In 1994 she became assistant Supervisor for the SCI OT team. Since then Ellen has worked on both the TBI and SCI floors as well as in the Outpatient Clinic and pool programs. Currently she is co-leader of the Spasticity Clinic. Ellen was Supervisor for the SCI OT team from 2005 to 2007. Chris Watkins, BS, PMP, is the Director of Information Systems. 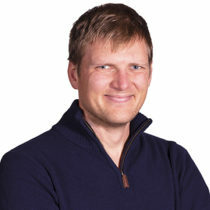 Chris attended Regis University in Denver, Colorado and received a Bachelor of Science degree in Computer Information Systems. He has over twenty-six years of IT management experience, including eleven years in healthcare between Presbyterian St. Luke's and Centura Health. He is responsible for Information Technology and an active member of the Mile-Hi chapter of the Project Management Institute.